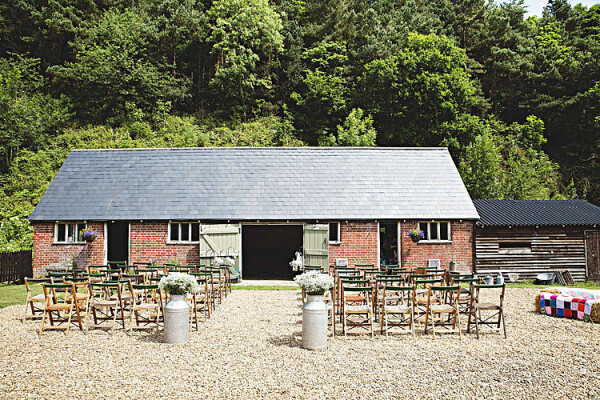 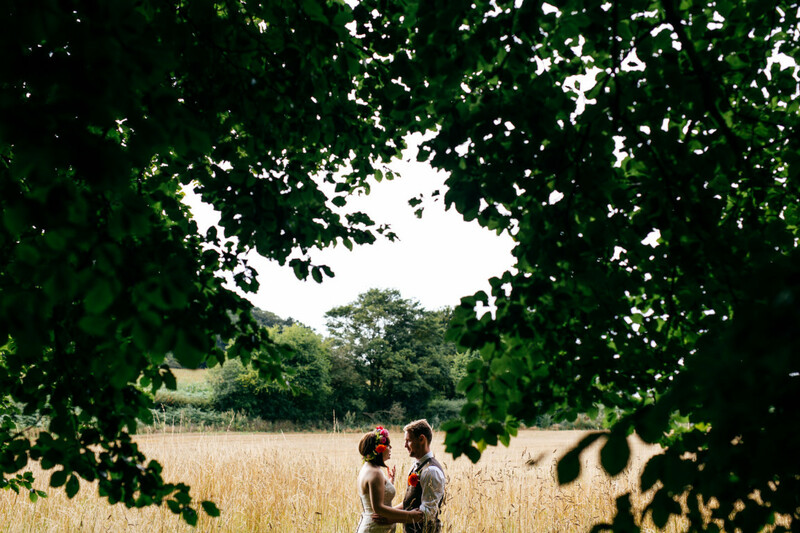 Frolic amongst the fairies in this quaint woodland venue in idyllic Norfolk. 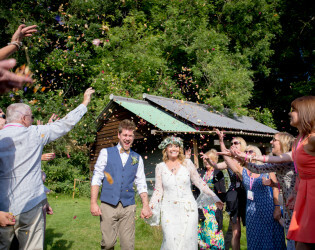 Say “I do” beneath a marquee in the woodland dell, retire to the 18th century Gamekeeper’s barn for a festive reception, and enjoy the natural beauty of the great outdoors in the camping gardens, complete with fire pits and a little wood cabin. 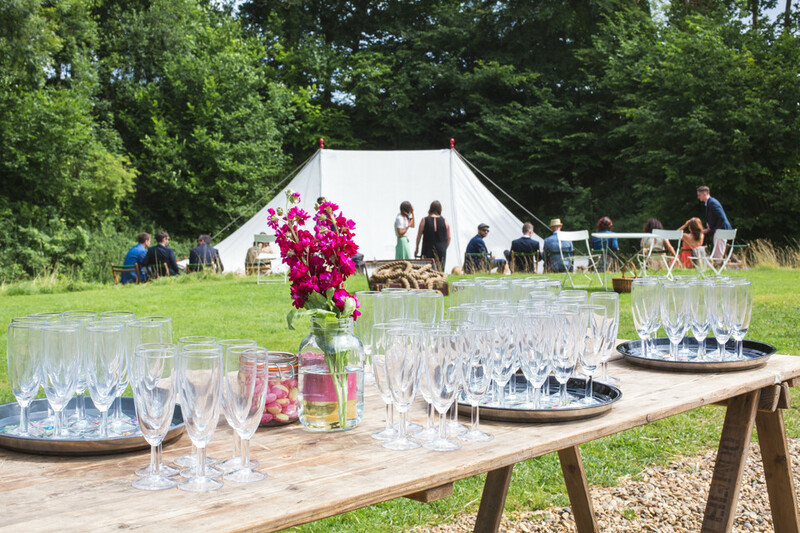 Surrounded by a medieval grove, The Keeper and the Dell offers the Bride & Groom and their guests a pretty, romantic venue with the wonderful chance to celebrate & sleep under the stars, all within a beautiful country setting. 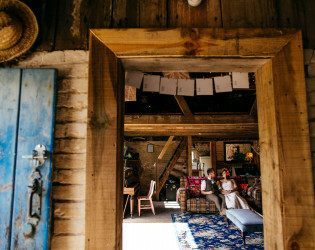 A Wedding at The Keeper and the Dell is unique and unusual, and there our rates do charges do vary slightly, depending on what is hired and for how long. 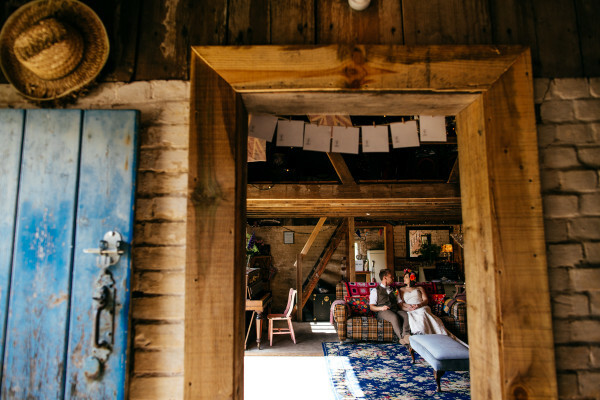 We do not insist that our wonderful couples use particular suppliers, nor do we charge silly things like corkage. 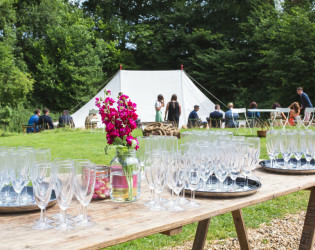 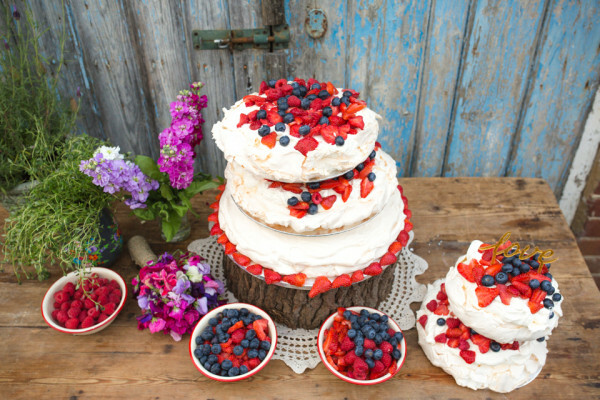 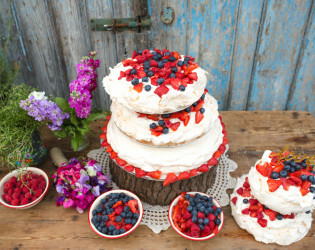 Everything here can be organised for either caterers to be brought in or for the Couple and their friends & family to cook & create their own food & drinks. We do have a lovely list of local vendors that we've fallen in love with along the way, to share with our Couples, to help them find the right people to make their day perfect. 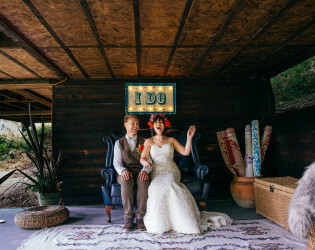 We also have an Extras Book, from which our Couples can cherry~pick what little extra touches they would like to add to their day to make it even more speical. 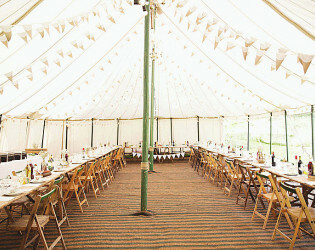 These include bunting & vintage wares. Any Wedding Planning & Styling is offered with our compliments. 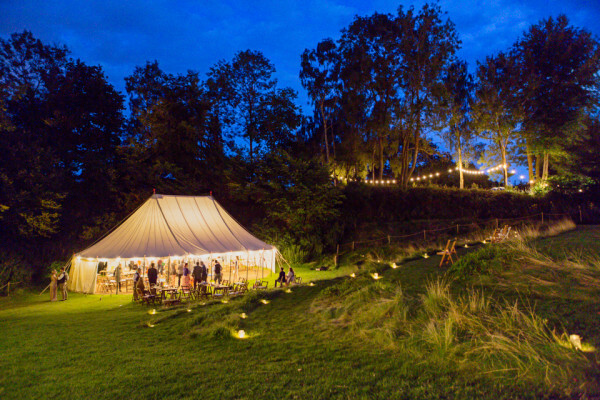 The Birch Garden is a magically peaceful spot, perfect for an outdoor ceremony or for camping under the stars. 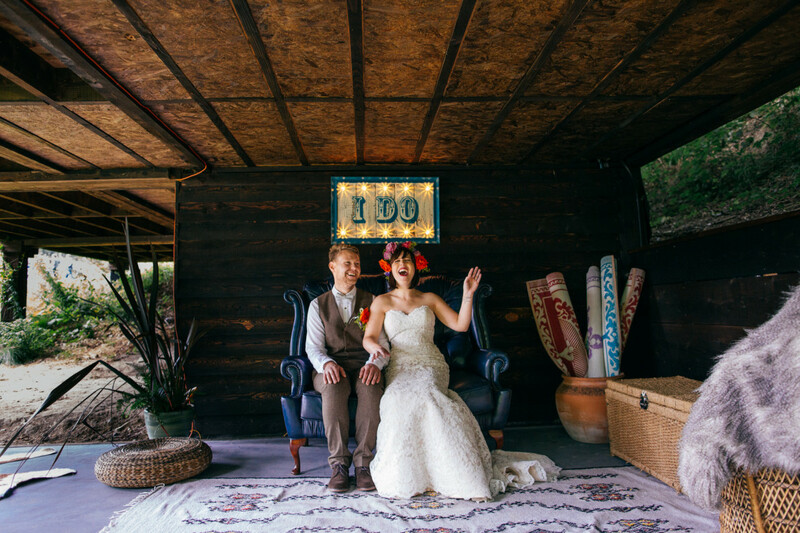 Up in the Birch Garden you can find vintage caravans & Sleeping Huts, all fully decorated & ready for you to enjoy. 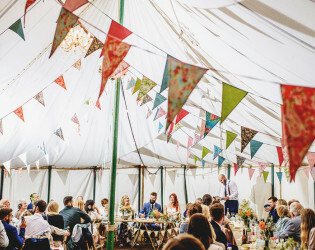 There is also room for a Bell Tent village to be set up by a local company, and your guests are welcome to bring their own tents or campervans to be pitched up.. We're also happy for you to arrange for other vintage campers or canvas tents to be brought here ready for when you & your guests arrive. 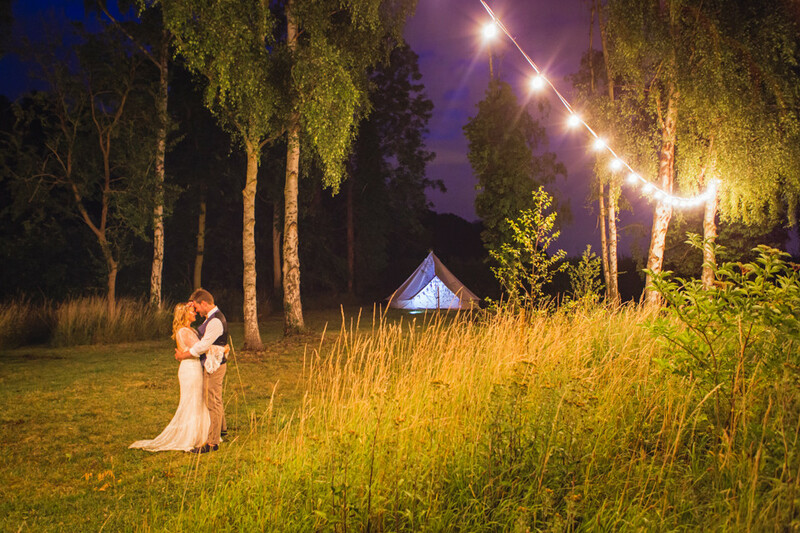 It will all look so pretty with the festoon lights, bunting and pretty bridesmaids all in a row ~ a magical garden for you to sleep in. 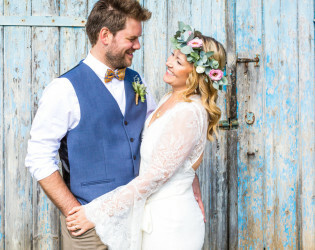 Weddings shouldn't be about the fuss or fear that the day has wandered from a strict order of the day, but even the most relaxed of celebrations takes plenty of pre-planning to make sure everything runs smoothly. 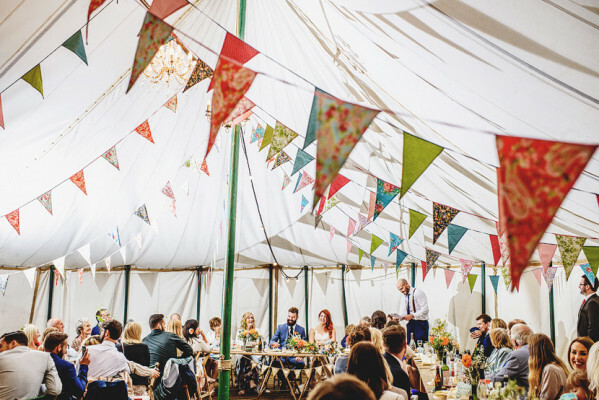 We are able to guide you through your arranged site meetings and be on hand through the day to make sure that every little detail has been covered, so that you can both can relax and enjoy your own special day without worrying about the small stuff. 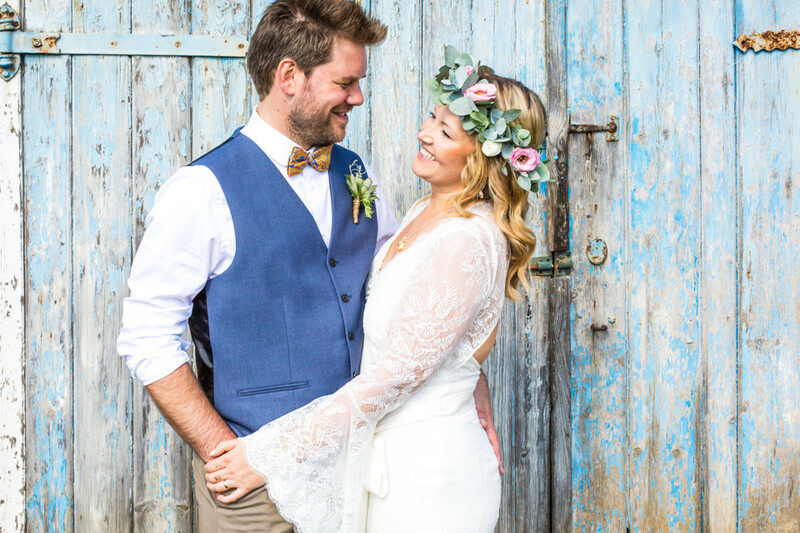 The perfectly orchestrated exclusivity of our venue coupled with the beautiful arrangement of the Paddock, Dell and Barn means that your celebrations follow the natural flow of the day, from morning through til night. 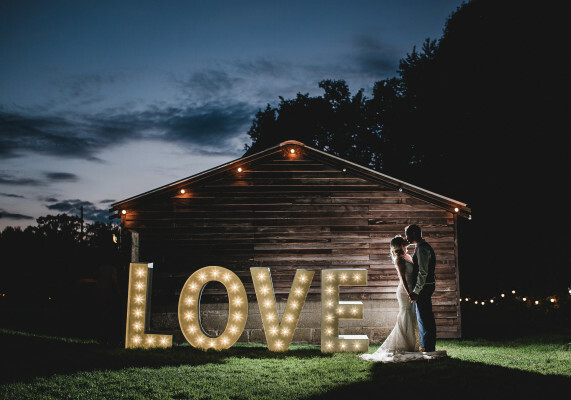 As the sun goes down on your wedding day, the festoon lights will come to life, candles can be lit and excitement will rise in anticipation of an evening celebrating outdoors. 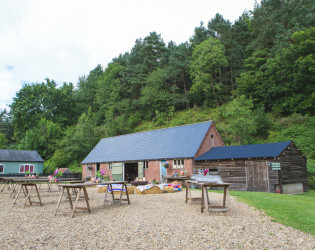 We can arrange for fire pits & strawbales on the terrace to keep you & your guests all warm & comfy as you enjoy your special evening under the stars. 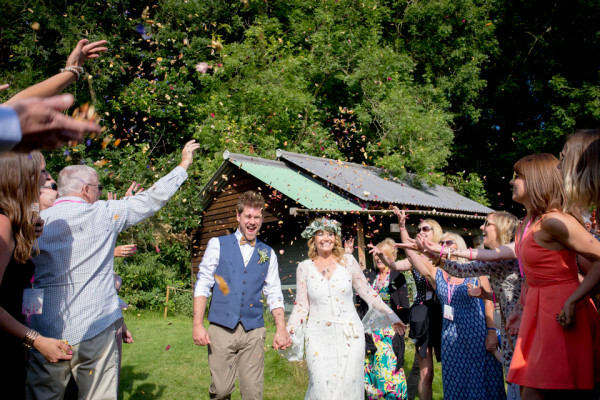 Here at The Keeper and the Dell not only do you have the wonderful opportunity to celebrate in our pretty surroundings that compliment your wedding but also the chance to sleep under the stars, making the perfect start to your married life. Whilst we do have room for guests to pitch up & camp over, there are also plenty of B&B's, hotels & guest houses nearby for the less adventurous of your guests. 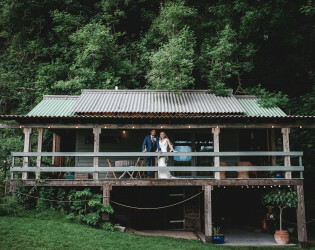 Here at The Keeper and the Dell, you get to feel like you’ve brought out the romantic side of a kindly relative and they're up for letting you have your own wedding in their country garden ~ where they just so happen to also have a pretty barn, firepit, a lovely traditional marquee and plenty of room for camping to boot. 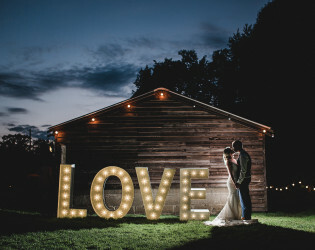 You may not have been born in a barn, or happen to live in one, but at The Keeper and the Dell, you get the unique chance to celebrate your wedding in one. Here at The Keeper and the Dell not only do you have the wonderful opportunity to celebrate in our pretty surroundings that compliment your wedding but also the chance to sleep under the stars, making the perfect start to your married life. 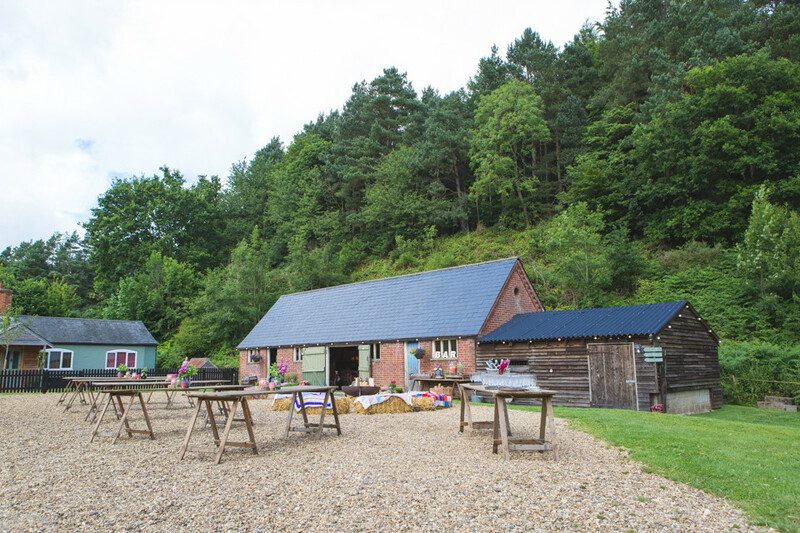 Whilst we do have room for guests to pitch up & camp over, there are also plenty of B&B's, hotels & guest houses nearby for the less adventurous of your guests. 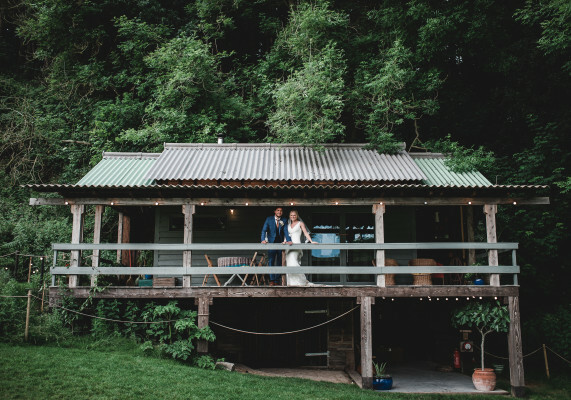 The Dell is a lovely gently sloped grassed area surrounded by woodland & ferns, enveloping the space to create a beautifully natural, romantic backdrop for your outdoor ceremony & reception. The Dell has been gently landscaped to form natural terraces for seating during a ceremony & for relaxing throughout the evening. 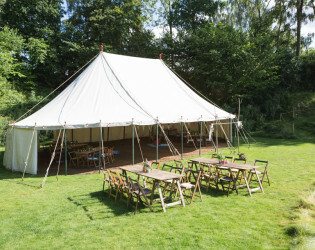 The Dell has a lovely traditional marquee to protect against any bad weather and is a beautiful setting for your ceremony, alfresco dining and then later for chilling under the stars. 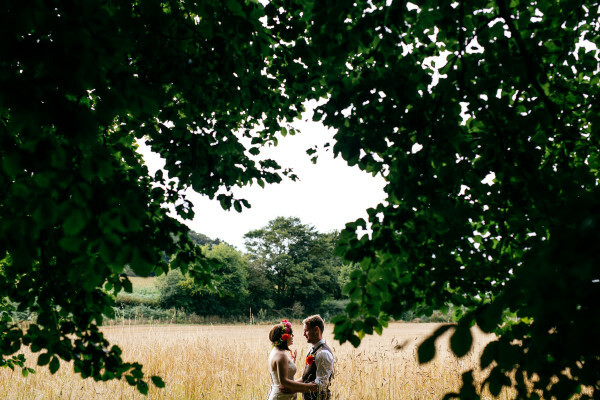 The Keeper and the Dell is a wonderfully secluded, outdoor wedding venue in Norfolk. 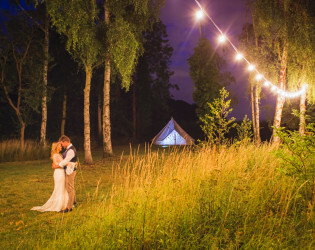 A beautiful collective of a traditional canvas marquee in a pretty woodland dell, an eighteenth century Gamekeeper's barn, camping gardens, firepit and a little wood cabin ~ making it the most perfectly romantic of places to host a unique Norfolk wedding. 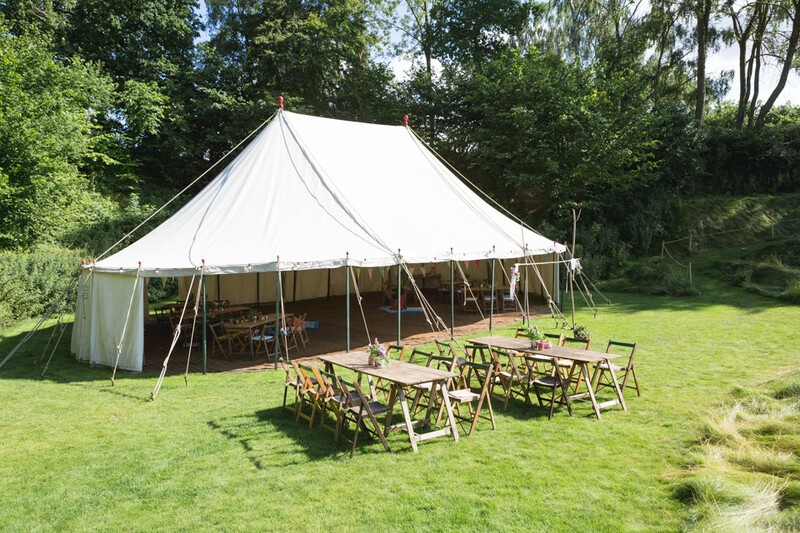 Here at The Keeper and the Dell, our wonderful marquee is part of the deal ~ there are no hidden high costs for hiring our lovely marquee. 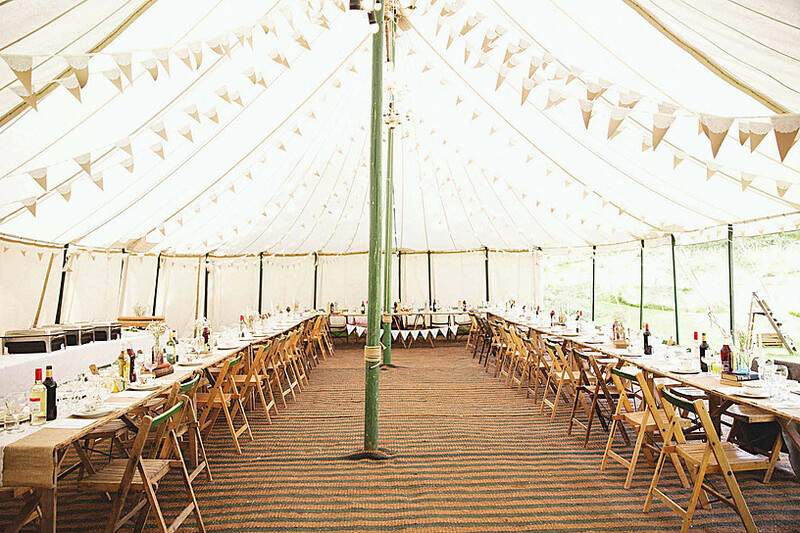 We're very proud of our marquee and rightly so as it is beautifully vintage, handmade in Norfolk with a traditional rounded end canvas, lovely old wooden poles and sits so prettily down in the Dell, with beautiful British made striped coconut matting flooring and rustic wooden tables & chairs. 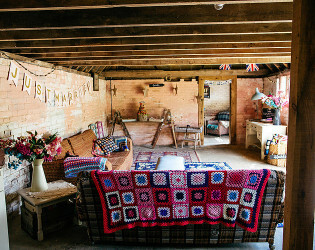 It is literally a blank canvas, ready for you to decorate & add your own little touches that you’ve either made or you have picked up along the way. We also have our beautitful old Barn, Saloon, Camp Kitchen, Sleeping Huts and pretty outdoor washrooms, all complete with vintage furniture & pretty props. 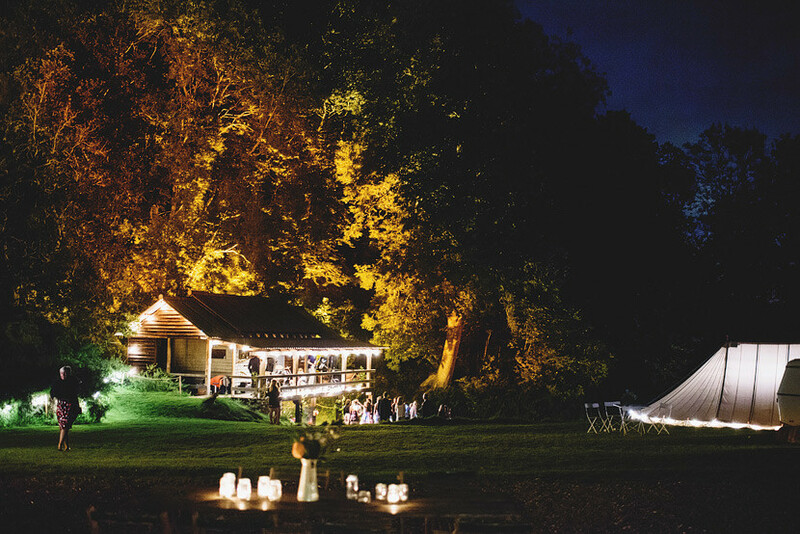 Awards & Notables The Keeper and the Dell has been included in the Conde Nast's Brides Top 100 Venue list for 2014, 2015, 2016 & 2017. Clients are welcome to bring any caterers they wish onto the venue to provide food & drinks to their guests. There are lots of amazing local companies that we'll be happy to recommend, who can provide everything from full silver service to relaxed street dining. 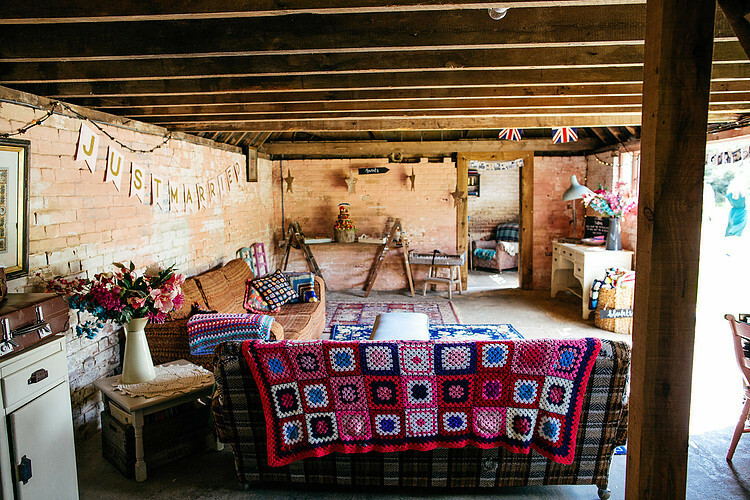 Get intouch to hear more about the great people we love to work with in Norfolk. We don't charge for silly things like corkage or cakeage. 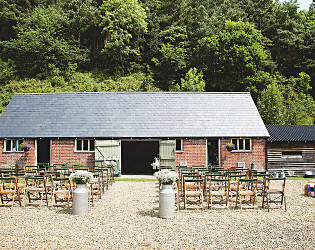 Outdoor reception by the barn. 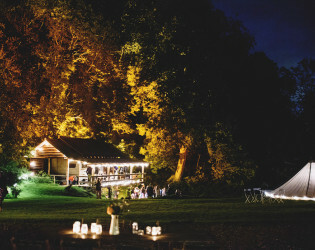 The Keeper and the Dell offers the Bride & Groom and their guests a pretty, romantic venue with the wonderful chance to celebrate & sleep under the stars, all within a beautiful country setting. 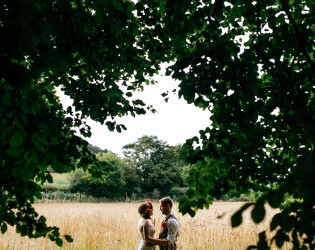 The Keeper and the Dell is a wonderfully secluded, outdoor wedding venue in Norfolk. 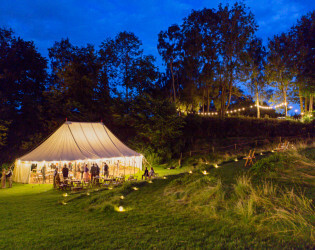 A beautiful collective of a traditional canvas marquee in a pretty woodland dell, an eighteenth century Gamekeeper's barn, camping gardens, firepit and a little wood cabin. Here at The Keeper and the Dell, we only have one wedding at a time, that way all wedding parties get an exclusive venue with room to breathe and roam. 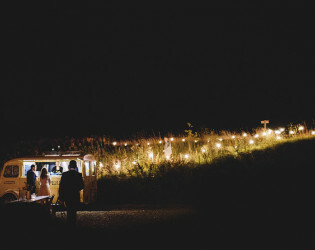 The Keeper and the Dell at nighttime is so magical, for every celebration. 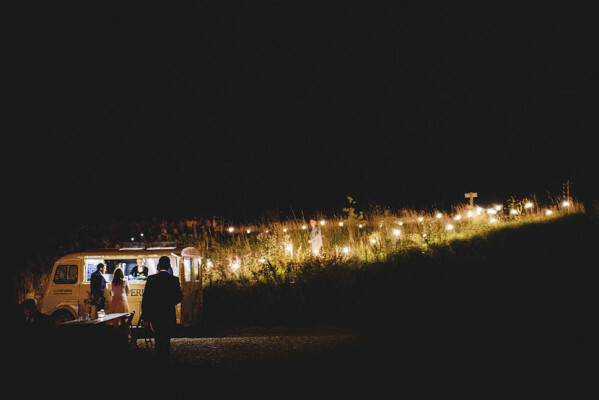 Dance under the stars!